This is the possible aspect of a new Ducati that will be shown at EICMA 2008. The Hyperfighter (this will be the name) is a motorcycle without compromises, born for the purest fun on road and based on the Ducati 1098R. 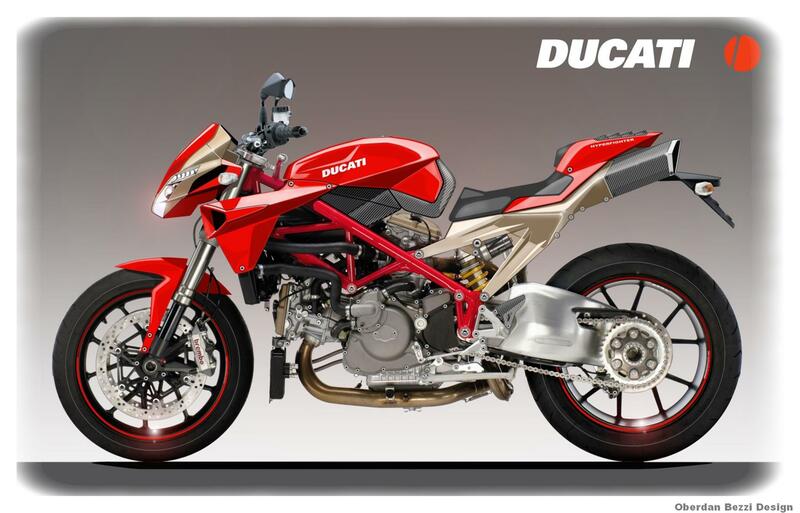 It introduces the new DIES (Ducati Integrated Exhaust System), which means the exhaust box is integrated with the supporting frame of the seat in magnesium to give a considerable weight saving. For protection from the heat it has adopted an insulating technique used by NASA on the Shuttle. Moreover since many of the components are in carbonfibre the bike will be very light, for a "fighting" ride.